Looking to buy or sell a property on the Treasure Coast? We specialize in all Treasure Coast communities including Palm City, Jensen Beach, Stuart, Port Saint Lucie and Ft Pierce. We are also your Martin County homes for sale experts. We know all the best Treasure Coast Real Estate for sale. Follow us on our interactive Treasure Coast Real Estate Facebook page. Become a free member on our website and get email alerts for the Treasure Coast Homes you love. Looking for Treasure Coast property and community information? Subscribe to our newest Treasure Coast YouTube channel and receive every listed Treasure Coast Real Estate update directly on your page. Looking for a new Martin County Home for sale? 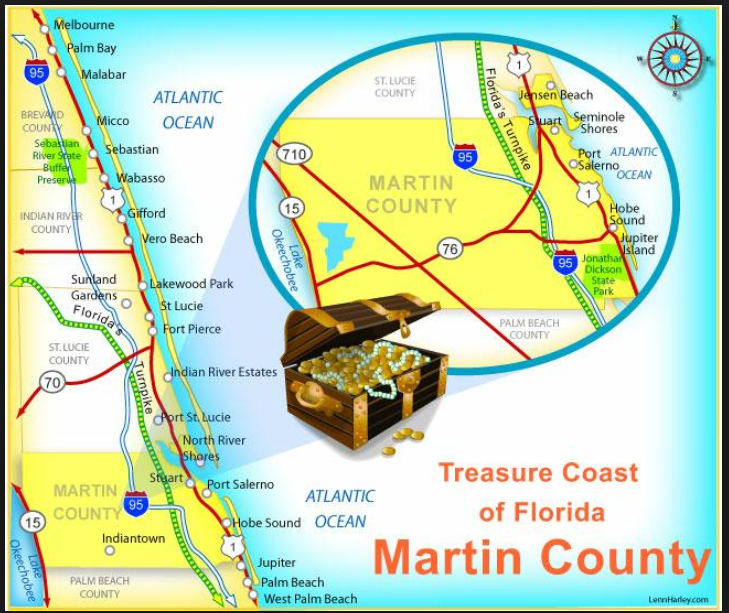 We are your local Martin County Real Estate specialists, with over 60 years experience buying and selling Treasure Coast Real Estate. Click here for every single Martin County Home for Sale Real Estate listing free. Check Us out on YouTube for cutting edge Martin County Real Estate information too. We serve all of Martin and St Lucie counties including: Palm City Real Estate, Stuart Waterfront Homes, Jensen Beach Real Estate for Sale, Stuart Condos, and Hutchinson Island Real Estate. The North River Shores Property Owner's Association is one the oldest in Martin county. Established over fifty years ago to protect the unique living experience offered by this wonderful riverside community. The subdivisions of North River Shores, Coconut Point and North River Forest are served by the Martin County government. Property owners within these subdivisions are entitled to membership in the North River Shores Property Owners Association, Inc. They are responsible for enforcing the various deed restrictions which apply to nearly every property in the subdivisions. Not all property owners within these subdivisions are members of the Association. If you purchase a property already within the Association, you will be required to be a member. For properties that do not belong to the Association, the new owners have the ability to join. The Association is a collective voice of its members and property owners in civic and governmental affairs including political representation and governmental services such as road and right of way maintenance. The Association also supervises the Neighborhood Watch, the volunteer day and night patrol and, as well, administers maintenance of the area's 4 waterfront parks. North River Shores is a bird and wildlife sanctuary with plenty of the Good Nature of Martin County for all to enjoy. Home styles in North River Shores include waterfront and non-waterfront single family homes, duplexes, rental apartments and condominiums - on and off the water. The lots average a half acre or more in size. North River Shores is an established waterfront neighborhood in which to live in Stuart, FL. RESTRICTIONS. Yes, Coconut Park and North River Shores is sensibly restricted to protect your investment and safeguard your future values. TAXES. Reasonable county taxes. No city taxes. You are entitled to a homestead exemption if you make North River Shores your principal residence. No State income tax. The FrasierTeam 772-201-1449 Your North River Shores Real Estate specialist call today! 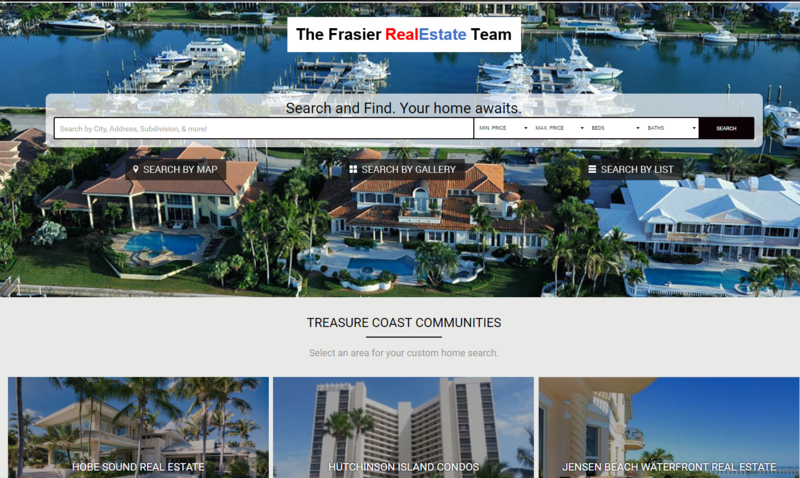 The Frasier Team | Keller Williams Realty Treasure Coast. Picture Window theme. Theme images by konradlew. Powered by Blogger.